What does it mean to be homeless in Wales today? Mention the word ‘homeless’ and many people think of rough sleeping. The reality is that rough sleeping is only a part of the picture. Every year in Wales more than 15,000 people become homeless, including 2,800 children. Of all those people, a few hundred will be living on the streets. The rest will be ‘hidden’ homeless – sleeping on friends’ sofas; living in temporary accommodation provided by the council; or else living in homes that are in very poor condition, or unsuitable for their needs. A further 10,000 people a year come within days of losing their home and are only able to avoid homelessness thanks to the hard work of council homelessness services and other agencies such as Shelter Cymru. Problems in the system – such as the rising cost of housing, the poverty trap, and welfare benefit cuts brought about by the Government. Over the last 35 years Shelter Cymru has seen the housing crisis play a bigger role in creating homelessness. There aren’t enough affordable homes being built, and this makes housing more expensive for everyone – including you. With rent levels rocketing and home ownership an increasingly impossible dream, it’s no wonder that so many families are struggling. But homelessness would never happen to me, would it? You’d be surprised. People from all walks of life are at risk. True, having a low income is a major risk factor – but being in paid work is no guarantee. Last year nearly 19,000 people used Shelter Cymru’s services and more than one in four of them had a job. This is why you need to think carefully about the language you use. For example, at Shelter Cymru we would never use the term ‘the homeless’ because this makes people seem less than human. Homeless people are people first and foremost. This leaflet and this video by Shelter Cymru’s Take Notice project bust some common myths about homelessness. They’ve been produced by people who’ve been there, and who know what they’re talking about. There is help available for people who are struggling to keep a roof over their head. But it’s so important to seek help early – the earlier you do this, the more easily problems can be solved. Our Advice Online pages have a wealth of information on what to do in a wide range of situations. You can also download our Housing Help app which includes all our Advice Online information, and a map showing where we hold local surgeries. Our helpline number is 0345 075 5005, open 9.30am-4pm, Monday to Friday. You can also get advice by email. Our caseworkers hold surgeries in locations across the whole of Wales. Search for your nearest surgery here. Welsh homelessness law has changed, meaning that councils have new duties to provide advice and help to everyone who is homeless or threatened with homelessness. Learn more here about how to make an approach to your council. Someone you know may be suffering in silence. This leaflet 9 Signs and this short film will help you to identify the signs that someone might be in danger of losing their home. It’s a scandal that we have more than 26,500 homes lying empty in Wales. 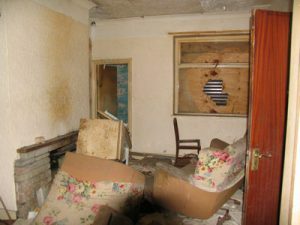 If you see an empty home you can use this website to alert your local council. We desperately need new homes that are genuinely affordable. Thankfully, there are signs that most people these days understand why affordable housebuilding is so important. If there are new residential developments planned in your area, check out what’s being proposed. Is most or all of the development affordable? If so, consider voicing your support: talk to your local councillor, send comments to the local planning authority. This may be particularly important if other people locally are objecting. Planning Aid Wales has a useful booklet explaining how you can influence planning applications in your local area. You have the power to make a real difference to people’s lives. Don’t say a flat ‘no’ to would-be tenants who are on benefits, or who have experienced homelessness. This guide has been developed by experienced private landlords and has lots of tips for how to work successfully with tenants who may be vulnerable or on low incomes. More and more landowners are getting involved in building affordable housing – a fantastic legacy for your local community. The Prince’s Foundation has an excellent guide to help landowners get started with planning popular development. Many people wonder whether giving to people begging on the streets is the right thing to do. We aren’t going to tell you what to do – it has to be your own decision. But here are some pointers that you may want to consider when deciding your personal approach. If you give money, you must be comfortable with allowing people to make their own decisions about what to spend it on. The truth is you have no idea how hard their life might be. If you decide to give money, make it a gift with no strings, from one citizen to another. You may choose to give food or other useful items instead. Again, respect people’s preferences. Just because someone is begging, that doesn’t mean they have to be pathetically grateful for everything they’re given, even if it’s not what they actually want. Try asking them first if there’s anything they need. You can use the Streetlink Cymru service to help people sleeping rough. Many people prefer to use Streetlink instead of giving directly to people who are begging. When you use the service, it sends an alert to local outreach teams, who can then go and check if the person is okay. Your time may be more important than your money. This moving short film by a Cardiff student explains the loneliness that people often experience on the streets, and the difference that five minutes of conversation can make. Whatever you decide to do, it’s vital to remember that giving food and money to people who are homeless is not enough to end homelessness on its own. If you decide to give, make sure this isn’t the only thing you do. If you decide not to give, do something else instead. One of the most valuable things you can do is to get involved with campaigning on issues that tackle the root causes of homelessness. This can be as little as signing a petition, or as much as organising your own local campaign. Keep in touch with current issues. An easy way to do this is by signing up to be kept in touch with Shelter Cymru’s campaigning work. We are a wealthy nation – why are so many people still without a secure home? What will you do to protect funding for services that work to tackle homelessness? What will you to do support affordable housebuilding? You can also follow us on Facebook and Twitter – keep up to date with our campaigns. There are many ways to volunteer your time in order to help people avoid or escape homelessness. Helping out with soup runs or outreach services are popular options but there are lots of other ways to get involved. Shelter Cymru has a wide range of volunteering opportunities across the whole of Wales including debt advice roles, helpline advice roles, administration roles, media roles, research roles, policy roles and many more. Visit the volunteering page for more information. Have a look around your local area to find out what services there are. Pick up the phone and see what help they might need. Many charities are overwhelmed with requests to volunteer at Christmas – but when January comes, the phone goes quiet. It’s important to remember that homelessness is a year-round issue. Become a workplace ambassador. We will keep you informed of our campaigns, fundraising and housing work. All we ask is that you engage with your colleagues and let them know what’s going on. By doing this you and your colleagues are supporting Shelter Cymru – to help end homelessness in Wales for good. Get in touch with us for more information. Last year, 1 in every 169 people in Wales came to us for help. 41% of the households we helped included children. No one should face homelessness alone. Your donations to Shelter Cymru mean that everyone in Wales has someone to turn to when they need help the most. If everyone in Wales donated £1.13 today, we could fund our services for a whole year. There are various ways you can support us and every donation, however modest, makes a real difference.